Hello, I have ordered exactly the products presented in the video at Cleaner Vinyl and tested them extensively. First about my interaction with the company (or Rudy): It is probably impossible to handle service and support faster or in a more competent way. I always got a very detailed and correct answer within a few hours. Simply great! The shipping to Switzerland worked perfectly and everything was packed great. The installation is ingeniously simple and only takes a few minutes - if there are still questions - just a quick email to Rudy and everything is resolved within a short time. What I also like very much are the before / after videos - there is nothing fake, and you can see or hear that the machine is not a 'miracle weapon' and can not make a new record from a scratched record - but you also hear how big the difference is if you clean the record with this machine - and the difference is really big. We washed a couple of very dirty records (before washing we did not dare to play the records completely without fear for the needle) and were amazed; first about the optical result (look almost as new) and then on the acoustic result - just great! I first thought about buying another vinyl record washing machine, one of those that does everything fully automatically. With those machines it takes a good half hour, and then has a clean plate without further effort. 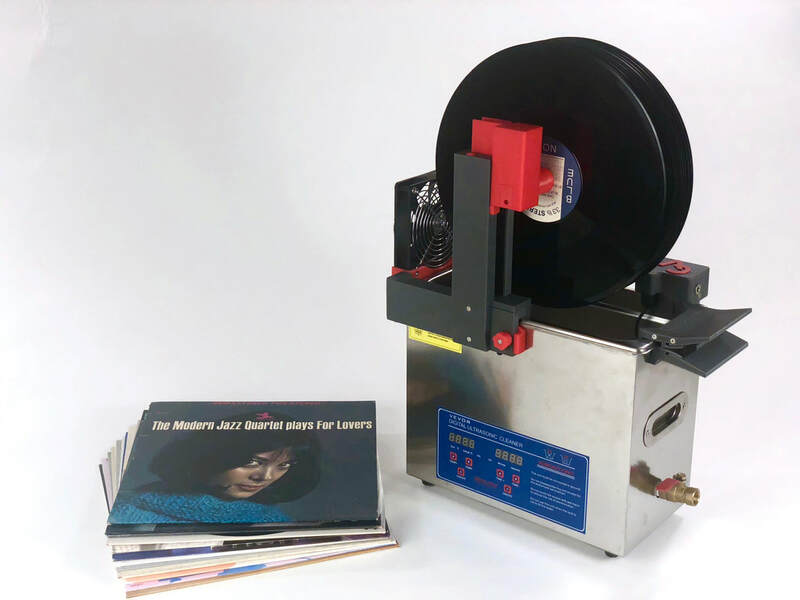 The CleanerVinyl system on the other hand requires you to lift the records into the dryer position after the ultrasonic bath is done, but after about 45 minutes you have 12 (twelve!) clean records. That's just awesome! With a collection of several thousand records, I do not want to spend years until I cleaned all of them, if I can only wash one record at a time. Personally I think, the Cleaner vinyl solution is perfect and I'm thrilled. Thank you Rudy and team. ​PS: I'm aware that my text here is pretty much the same as Jeffrey's review - but it's true that it's true ;-)! CleanerVinyl Pro Ultimate Kit installed on 6 liter ultrasonic cleaner. 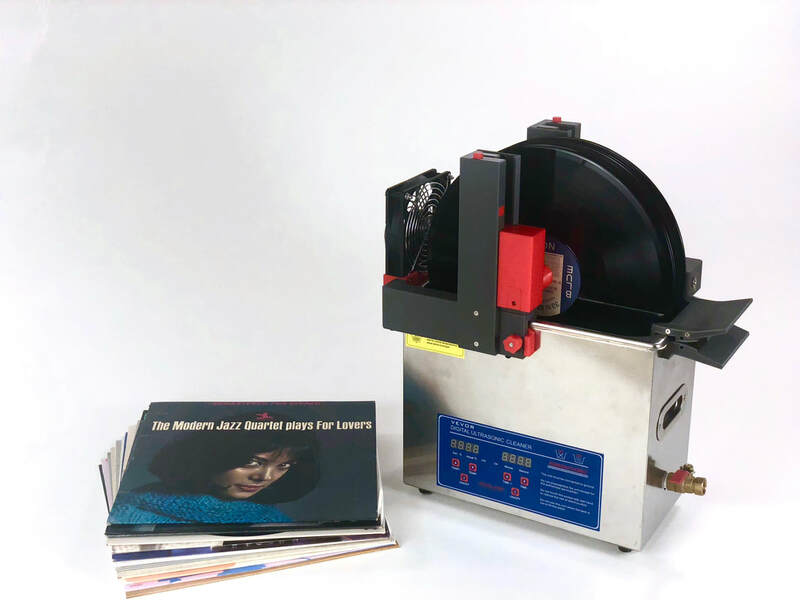 The Pro System can clean up to 12 records per cleaning run, includes 1 micron cleaning fluid filtration and a drying position for the records with integrated fan for accelerated drying.